Looking Good Feeling Great Ladies raised over £22,000 in 2016 with £9,000 going to the Oncology Unit. The ladies work tirelessly in their fundraising and we are thankful to have such loyal support. The ladies raise funds locally for oncology causes and the Maple Unit at Furness General Hospital. 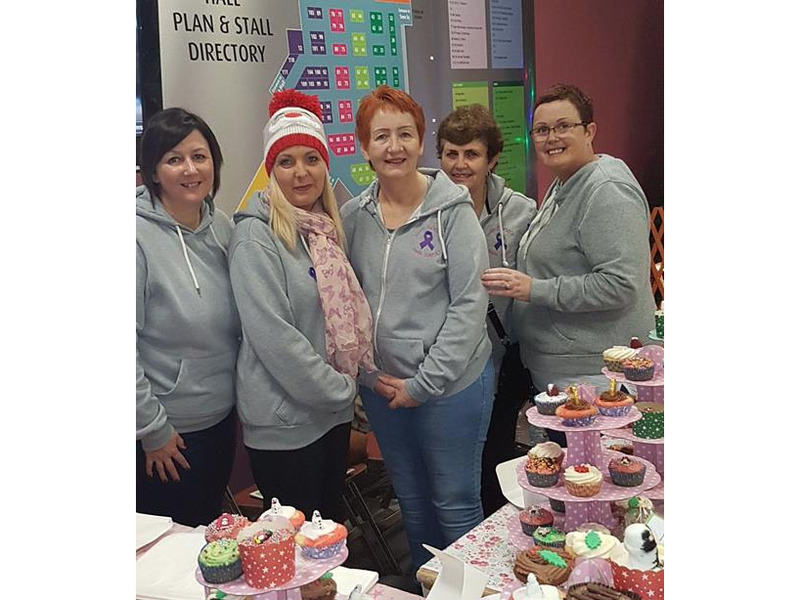 Left to right: Gill Tyson, Sarah Lamb, Diane Sullivan , June Connors and Derian Tranter pictured at Barrow Market, raising funds selling homemade cakes, raffle tickets and tombola.